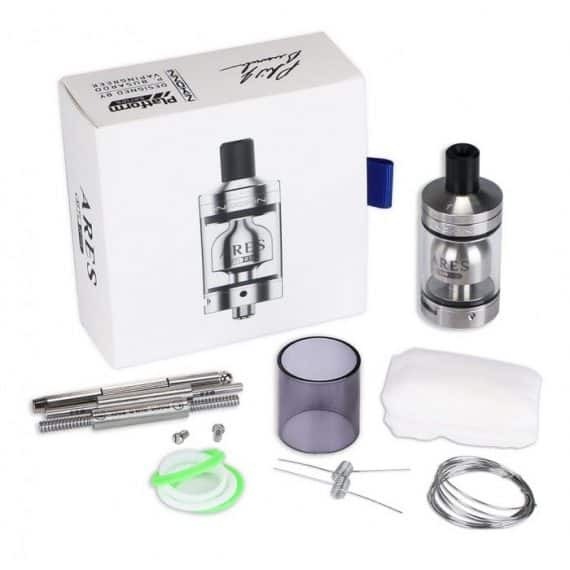 100% Authentic ARES RTA by Innokin. This new RTA is the brain child of famous vape reviewer Phil Busardo, and master atomizer designer Dimitris Agrafiotis; the Golden Greek. 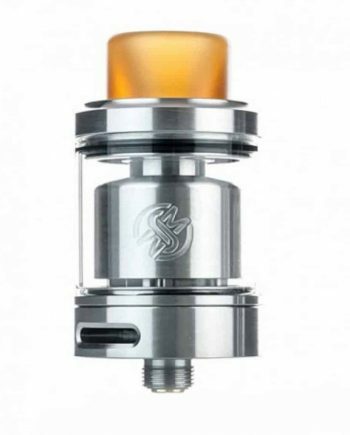 This flavour focused RTA is ingeniously designed to hold a single coil, and provide the perfect amount of airflow to truly create a flavor beast! 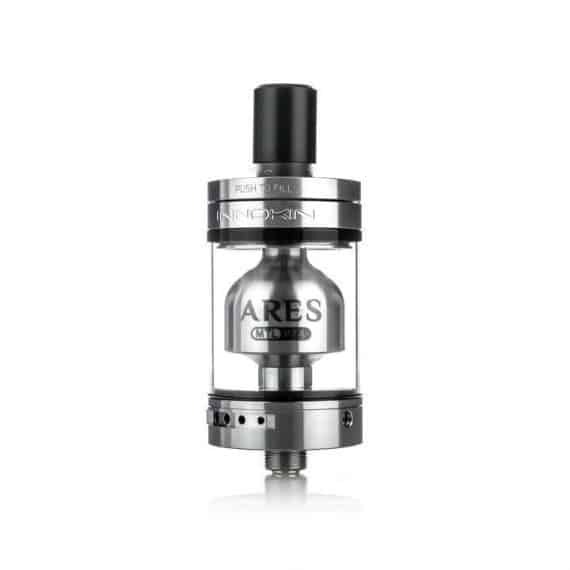 The ARES RTA truly is the perfect RTA, leaving nothing to be desired. The ARES RTA comes packed with extras, including an extra curvy delrin drip-tip, extra smoked black glass, a dual sided screwdriver, 2 coil building tools (1 for spaced builds, 1 for traditional builds), as well as 26g Kanthal wire, and pre-built coils and organic cotton pad. Manufactured by Innokin, this precision built RTA focuses on providing an efficient yet satisfying vape, while staying affordable and versatile. 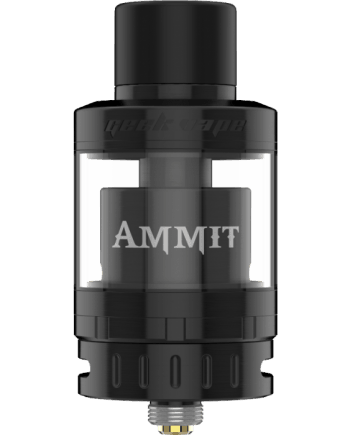 The build deck on the ARES RTA is where we start to see smart design choices. The 2 Post deck on the ARES RTA features a “drop-in” coil build feature, that allows for effortless installation of your chosen coil. Simply drop the coil in, and tighten the grub screws to install your coil. A smart liquid barrier helps to prevent leaking and seepage through the cotton. 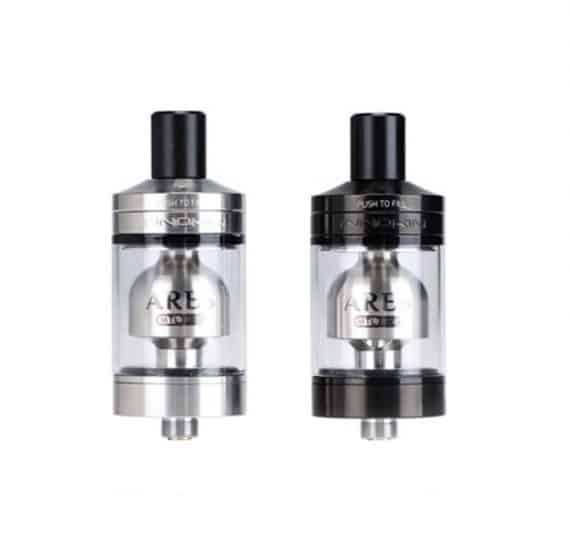 The airflow on the ARES RTA has been designed with a semi-restrictive MTL (Mouth-to-Lung) or restrictive DL (Direct-Lung) style of vaping in mind. 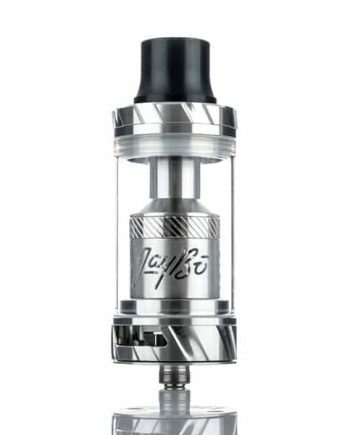 This allows the user to adjust the airflow from a tight cigarette style draw to a slightly more open, flavour-packed draw. The airflow travels through a diffuser, which effectively distributes the air over the surface area of the coil, for maximum flavour. The bell-shaped chimney design maintains flavor extremely well. 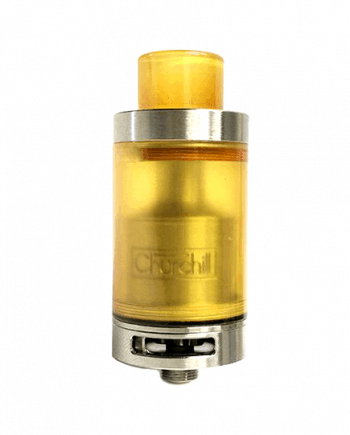 These features combined drastically reduce air turbulence for a smooth, satisfying vape. 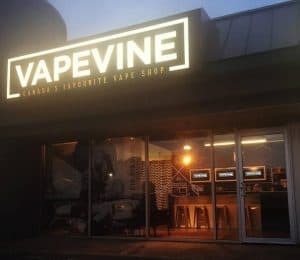 The single coil design, combined with a slightly restrictive airflow, make for a satisfying vape, while still being extremely efficient, saving battery life. The ARES RTA is an all-around well designed RTA, that appeals to the masses with it’s extremely affordable price!